Da Vinci Hysterectomy Benign - Orrego Center for Women´s Health - The full range of gynecologic and obstetrical services. Landeen, Laurie B., MD, MBA, Maria C. Bell, MD, MPH, Helen B. Hubert, MPH, PhD, Larissa Y. Bennis, MD, Siri S. Knutsten-Larsen, MD, and Usha Seshari-Kreaden, MSc. 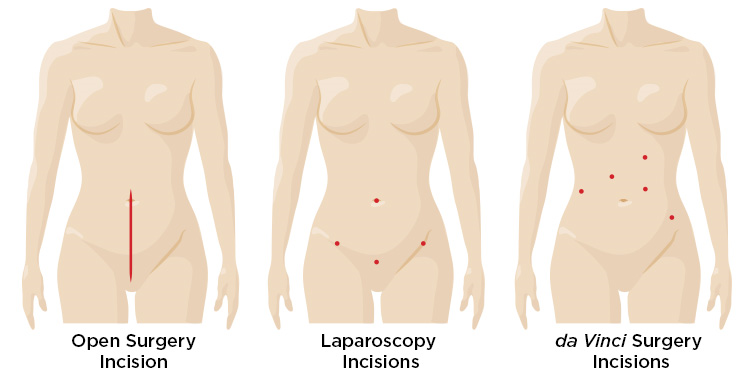 “Clinical and Cost Comparisons for Hysterectomy via Abdominal, Standard Laparoscopic, Vaginal and Robot-assisted Approaches.” South Dakota Medicine 64.6 (2011): 197-209. Print. Serious complications may occur in any surgery, including da Vinci® Surgery, up to and including death. Individual surgical results may vary. Patients should talk to their doctor to decide if da Vinci Surgery is right for them. Patients and doctors should review all available information on non-surgical and surgical options in order to make an informed decision. Please also refer to http://www.daVinciSurgery.com/Safety for Important Safety.